The ambitious project ‘Vigyan Gram’ in Tripura has run into rough weather. It has been learnt that the progress in construction of the multi-crore project near Nimbak area aimed at attracting and generating awareness among the students and young generation about space science applications is pathetically delayed. Under the project, an exhibit hall, a planetarium and a 3D theatre are supposed to the constructed spreading across over 12.78 acres of land. Notably, the project was supposed to be completed by next year. It is learnt from reliable sources that although work had begun during the erstwhile Left Front regime, fund was not ensured for the multi-crore project that has led to a stalemate. 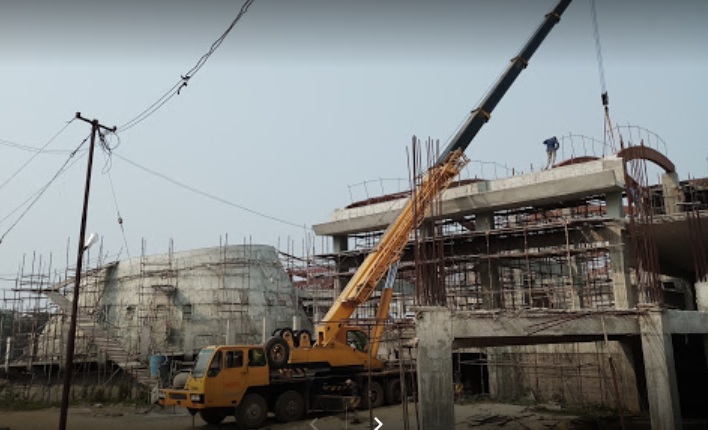 Sources also alleged that the new government is not taking proper initiatives to push for finishing the project within the stipulated time-frame due to shortage of fund. Now the Department of Science and Technology is looking up to State Chief Minister Biplab Kumar Deb for his intervention to complete the project on time.